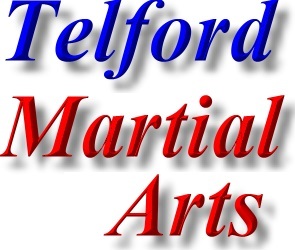 The Telford Martial Arts web page is provided as a free service for the people of Telford, Shropshire. 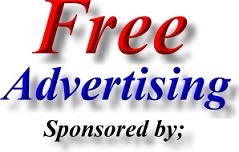 All that we ask in return, is that listed Telford Martial Arts Teams, Telford Martial Arts Clubs & Telford Boxing Clubs place a link on their website back to us and hopefully mention us on their league fixtures & other paperwork. Boxing Club in Madeley, Telford. Address; Telford ABC Boxing Club, Lumley Hall, Madeley, Telford, Shropshire. TF7 5AU. Address; Bridgnorth Aikido Club, Bridgnorth Sports and Leisure Centre, Northgate, Bridgnorth, Shropshire. WV16 4ER. Aikido is a traditional non competitive Japanese martial art. Although it is a modern martial art its origins can be traced back to the time of the samurai. Aikido uses a wide range of techniques utilizing locks and throws coupled with defensive strikes. An attacker is redirected and his own force is used against him. Address; Bridgnorth Jitsu, Bridgnorth Sports and Leisure Centre, Northgate, Bridgnorth, Shropshire. WV16 4ER. Jitsu is a martial art based on the traditional styles of Jiu Jitsu that originated and developed in medieval Japan. The core of the art comprises a system of throws, joint locks and strikes. Based on the principal of using an aggressor’s energy to their own disadvantage, Jitsu skills can be used by men, women and children to counter aggressive situations ranging from unwanted harassment to armed physical assault. Address; Bridgnorth School of Tai Kwon Do, Bridgnorth Sports and Leisure Centre, Northgate, Bridgnorth, Shropshire. WV16 4ER. Chinese Martial Arts Club in Wellington, Telford. Address; British Institute For Chinese Martial Arts, Wellington Leisure Centre, Larkin Way, Tan Bank, Wellington, Telford, TF1 1LX. Address; GTI Tai Kwon Do Club Club , Idsall Sports Centre, Coppice Green Lane, Shifnal, Telford, Shropshire. TF11 8PD. Address; Lee Matthews Blackbelt Martial Arts Academy, Oldbury Wells School, Oldbury Wells, Bridgnorth, Shropshire WV16 5JD. Lee Matthews Blackbelt Martial Arts Academy specialises in the style of Modern Free-style Kickboxing (which is considered one of the most effective forms of Martial arts available). Modern Free-style Kickboxing incorporates modern and traditional fighting techniques and includes aspects of numerous other Martial Arts such as Ju-Jitsu, Kung Fu and Thai Boxing to produce the ultimate fighting system of the future. Address; Lee Matthews Blackbelt Martial Arts Academy, Unit 10, Tweedale Ind Est, Madeley, Telford, Shropshire. TF7 4JR. Sport Kickboxing is a complete martial arts style that puts emphasis on personal growth. Lee Matthews Blackbelt Martial Arts Academy specialises in the style of Modern Free-style Kickboxing (which is considered one of the most effective forms of Martial arts available). Modern Free-style Kickboxing incorporates modern and traditional fighting techniques and includes aspects of numerous other Martial Arts such as Ju-Jitsu, Kung Fu and Thai Boxing to produce the ultimate fighting system of the future. Address; Reaper Gym Thai Boxing and Brazilian Jiu Jitsu School, Trench Lock 3, Trench, Telford, Shropshire. TF1 5ST. The Reaper Gym offers training in Thai Boxing & Brazilian Jiu Jitsu of the highest standard to men, women and children of all ages. Reaper Gym Thai Boxing & Brazilian Jiu Jitsu classes will help to improve your current fitness levels and build your confidence, this, coupled with learning Martial Arts in a safe and friendly environment makes the gym one of the best Martial Arts Schools in the Telford & Shropshire area. Telephone Number; Bridgnorth (01746) 766253. Judo Club based at the Maxell Factory in Telford. Wing Chun Kung Fu Club in Telford. Please note; Wing Chun Kung Fu is the Kung Fu style made famous and practiced by Bruce Lee. Karate Club in St Georges, Telford. Address; Fight Tech, Unit 4, Trench Lock 3, Sommerfeld Road, Telford, Shropshire. TF1 5ST. Martial Arts Clothing and Equipment such as traditional uniforms and training weapons for Kung Fu, Karate, Judo, Ju Jutsu, Tae Kwon Do and other styles.